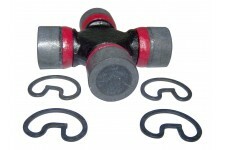 This yoke conversion kit from Alloy USA fits 84-95 Jeep XJ, 87-93 Wrangler YJ, and 97-02 TJ Wrangler with Dana 35 rear axle. 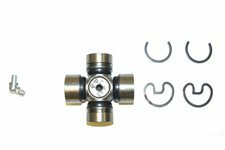 This Dana 35 yoke kit from Omix-ADA fits 84-95 Jeep Cherokee, 93-96 Grand Cherokee, and 87-06 Wrangler with the 1310 series U-joint. 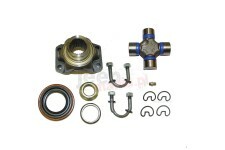 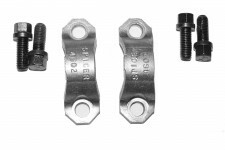 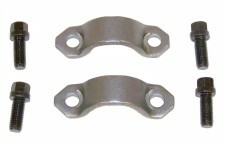 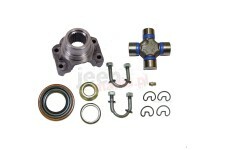 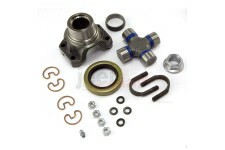 This yoke conversion kit includes the differential yoke, a Spicer U-joint, U-bolts, pinion nut, and seal. 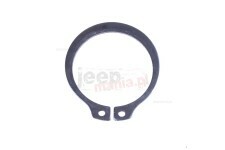 Fits 72-06 Jeep CJs and Wrangler. 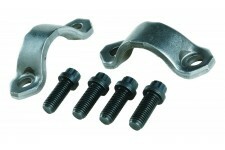 This yoke conversion kit from Alloy USA fits 72-83 Jeep CJ5, 76-86 CJ7, and 81-86 CJ8 with AMC 20 rear axle. 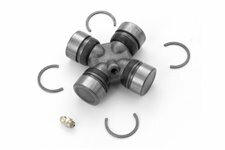 This greaseable U-Joint from Omix-ADA fits HD aftermarket driveshafts with 1410 yoke configurations on 87-17 Jeep Wrangler JK/JKU/YJ/TJ/LJ. 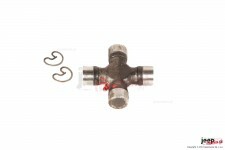 This replacement U-joint from Omix-ADA fits the pinion end of the front or rear driveshafts on 04-06 Jeep Wrangler Rubicon. 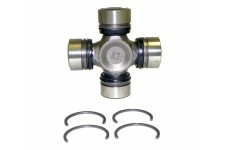 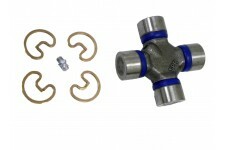 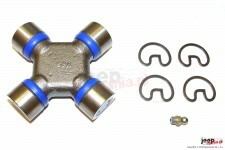 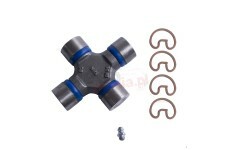 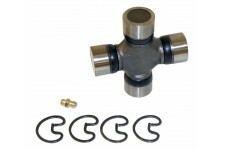 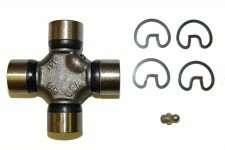 This greaseable conversion U-Joint from Alloy USA fits 94-04 Ford V8 Mustang, 94-95 Jeep Wrangler YJ, and 1997 TJ Wrangler. 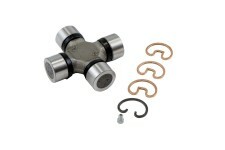 This full circle snap ring from Alloy USA fits U-Joints with a 1.188 inch size cap and a 1/16 inch snap ring width. 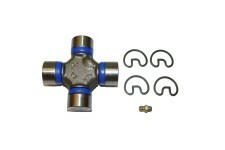 This 1310 series U-Joint from Omix-ADA fits driveshafts for 45-95 Willys and Jeep models.